The Wildlife Blogger of the Year 2018 competition has opened for entries. We’re calling on bloggers from around the world to put their favourite wildlife moment into the spotlight, in 800 words or fewer. Sponsored by SWAROVSKI OPTIK, organised by Terra Incognita and with prizes from Conservation Careers, the competition aims to celebrate storytelling for positive change, and has an impressive list of prizes and star judges. 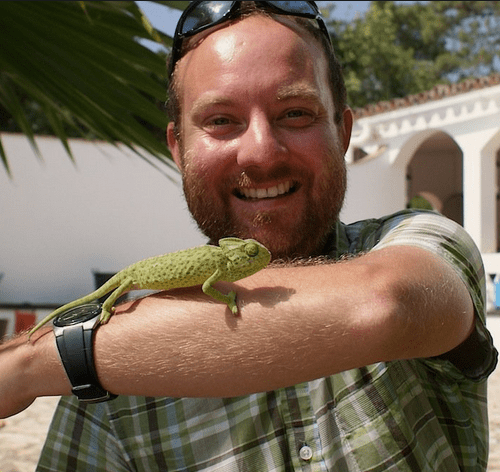 “We’re seeking stories that raise awareness about our planet’s incredible wildlife and explore people’s connection with nature through travel”, said Dr Nick Askew, co-founder of Terra Incognita. As a social enterprise Terra Incognita believes that ethical ecotourism, combined with the power of blogging, can be a real force for good in the world. “Bloggers are some of the greatest storytellers of our time, and we want to create opportunities for bloggers to be recognised and rewarded for their talent through support, encouragement and publicity”, said Nick. Winners will each receive a pair of SWAROVSKI OPTIK CL Companion 10×30 binoculars (value £930), plus wide-scale promotion and recognition for their blog. Winning entries will be published on some of the biggest wildlife blogs online, including Mark Avery and Conservation Careers. Winning bloggers will also have the opportunity to be interviewed for two popular wildlife podcasts – Conservation Careers Podcast and the Wild Voices Project. Winner will also receive a membership to Conservation Careers, its online Conservation Career Kickstarter course and career coaching (value £199). Lucy is a popular nature writer, environmental journalist and Communications Manager for The Wildlife Trusts. She is a runner-up in the BBC Wildlife magazine ‘Nature Writer of the Year’ and is a columnist in the popular Birdwatch magazine. She has written and presented wildly about wildlife issues. Matt Williams is a nature writer, wildlife photographer and presenter of the Wild Voices Project podcast. He has written for publications including BBC Wildlife Magazine, Birdwatching magazine and the Summer anthology of nature writing. You can find out more about him @mattadamw and mattadamwilliams.co.uk, or find his podcast at wildvoicesproject.org. The Wildlife Blogger of the Year 2018 competition is open to anyone – amateur or professional – who runs a blog or website. Stories must be original (unpublished) and are limited to one entry per person. To enter, simply submit a short story about your favourite wildlife moment (in 800 words or fewer). Please visit the competition page for full details of the competition and how to submit your entry. The deadline for entries is Midnight on 30 November 2018, and the winners will be announced on 31st December 2018. If you have any questions or problems, please email [email protected].